The following email reminds me of an essay I once wrote for second-year French class. The essay was returned to me with a rash of red markings and a single frowny face in the upper right corner. This email comes in on the opposite side of translation, from France to the United States. Pay particular attention to the last line; it is one of my favorite non-existent proverbs. The deadline for the best subject line contest is Friday, January 13. 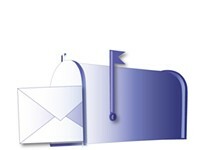 Dash off your half-baked essays and pidgin-riddled letters to inbox@rochester-citynews.com. Are you the lady, a day in a train, I met with your friend, so not relax. So happy to meet you again dear maggy ! I was in a "perpexious" (?) about you after the last 11 september. I am a little bit desapointed : did you sleep to long in a train to be in Japan now ? I was afraid to take contact with you again, so time was gone under the bridge. The chance make me feel good. Do you understand ? Are you "là bas" for a long time? And so on...Please give me some news of you. I will be so glad to know the life of my "tombéedans les bras". During my studies in Lyon I was working with some spécialists of Japan, maybe the name of Pelletier may you remember something, if not, I invite you to read him. You are welcome towards the time.